Fabian Becker studied geography at Freie Universität Berlin. After obtaining a master`s degree with a thesis on “Soil Erosion Risk Assessment on the Southern Cameroon Plateau” he began a doctoral fellowship at Topoi. His thesis-project is part of the research group (A-5) Iron as a Raw Material and deals with the the impact of iron mining and iron smelting on the landscape in the northern Tyrrhenian Sea and the Elba Island in particular. Furthermore he investigates the spatial interaction of smelting and mining on the island. 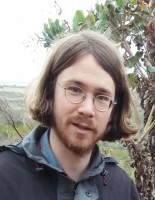 Fabian Becker participates in the PhD program Landscape Archaeology and Architecture (LAA) at the Berlin Graduate School of Ancient Studies (BerGSAS).